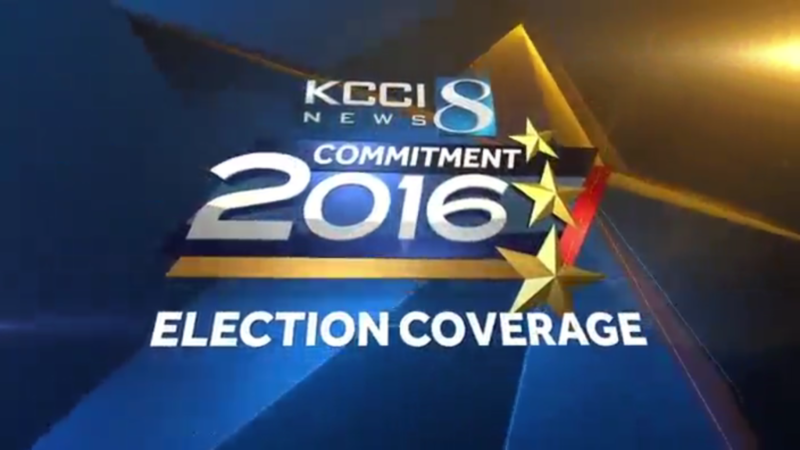 With the broadcast and cable networks out in full force, it’s easy to overlook the local election coverage, but local stations across the country stepped up to the plate and served up coverage of local and state races. 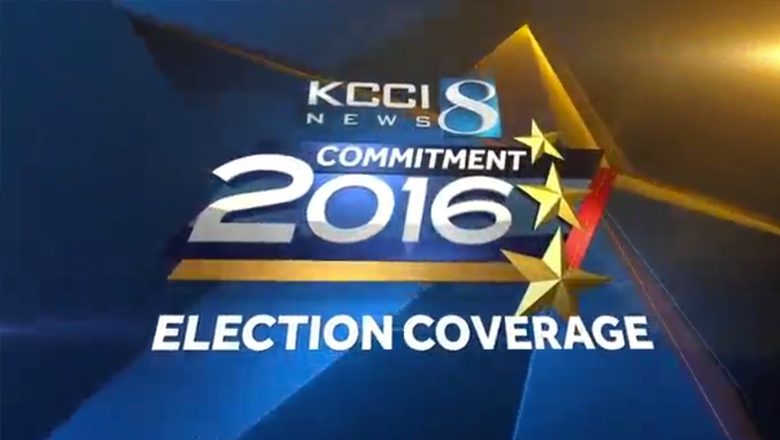 Des Moines‘ KCCI-TV, owned by Hearst, used the group’s standard “Commitment 2016” branding that also features an interesting take on the normal “diagrid” pattern — the sharp lines of a beveled star. 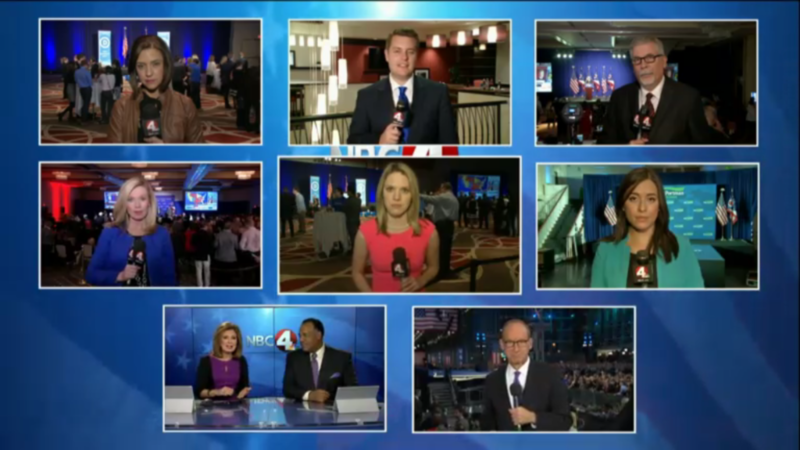 WCMH-TV in Columbus, Ohio, used both a touschreen and multi-box setup in its coverage, as well as filling its anchor desk video wall in an election themed branded graphic. 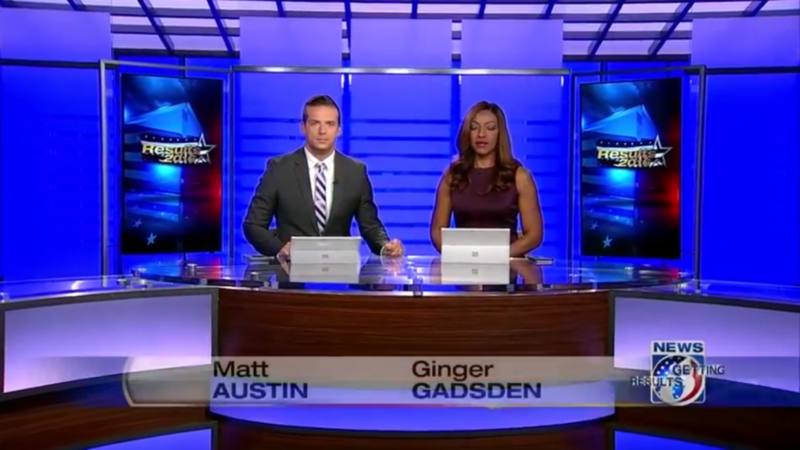 Charlotte’s WBTV-TV used its large anchor desk video wall for a branding graphic that mirrored the look of CBS’s graphics. 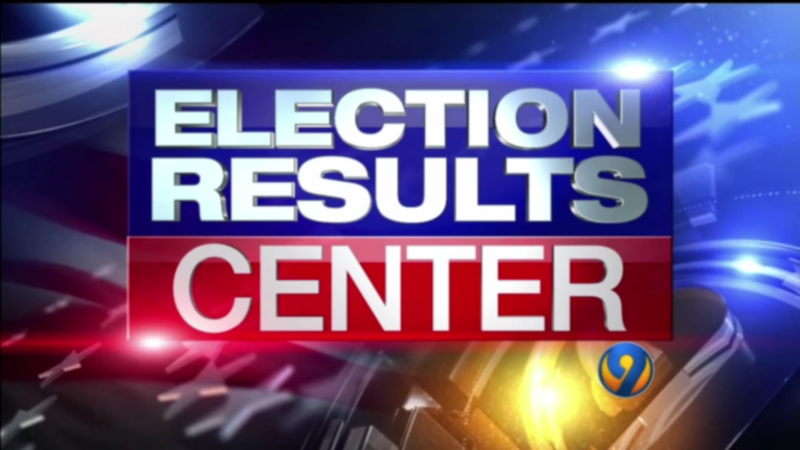 Elsewhere in Charlotte, WSOC-TV created an “Election Results” center in its standup area that also included a prominent stinger-style logo. WABC-TV in New York City also made use of a video wall, choosing to place its anchors both at the desk and standing in front of it with branded graphics behind. 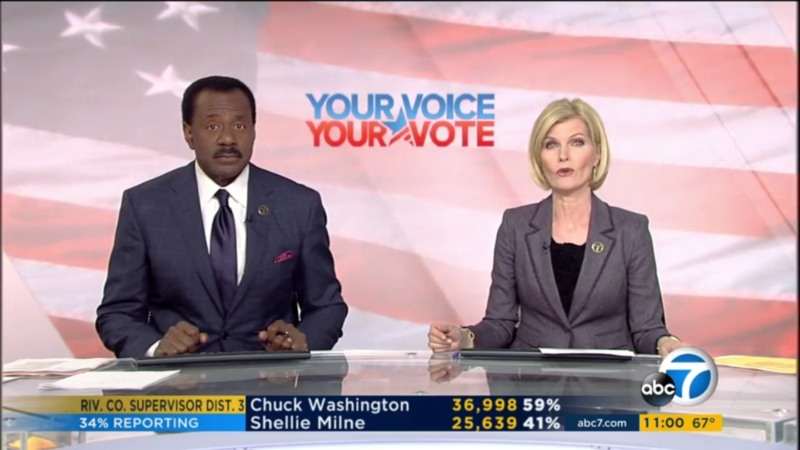 Its sister station in Los Angeles, KABC-TV, meanwhile, used its seamless video wall to its advantage with a soft and subtle background that included the ABC News “Your Voice Your Vote” branding. 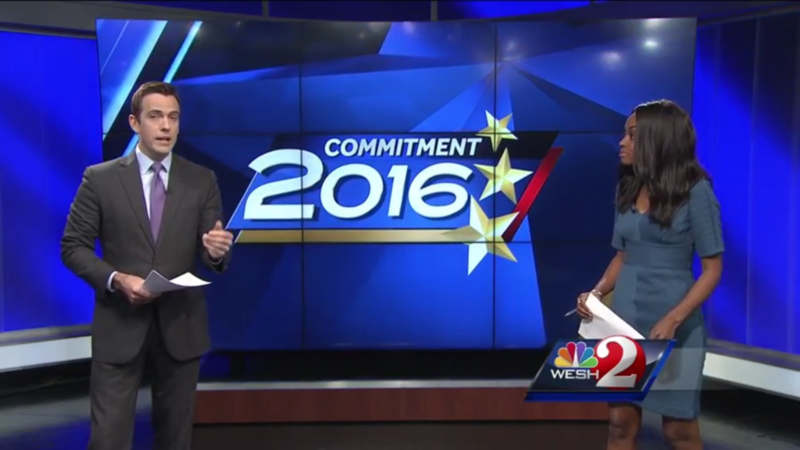 In Orlando, Florida, Hearst NBC affiliate WESH-TV had anchors standing in front of the anchor desk, with the two on-set rear projection screens used for an electoral map and video feeds. 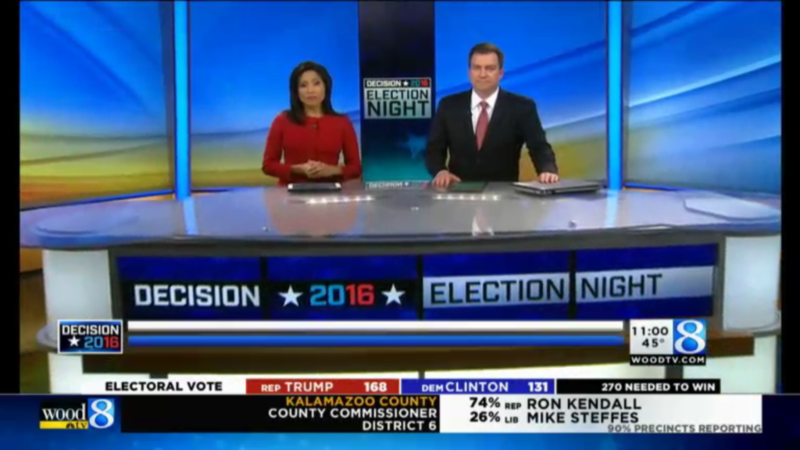 Also in Orlando, WKMG-TV used its newly installed set’s vertical monitors to display its “Results 2016” branding, a homage to the station’s “Getting Results” slogan. The station also tweaked its bug to include an American flag motif. 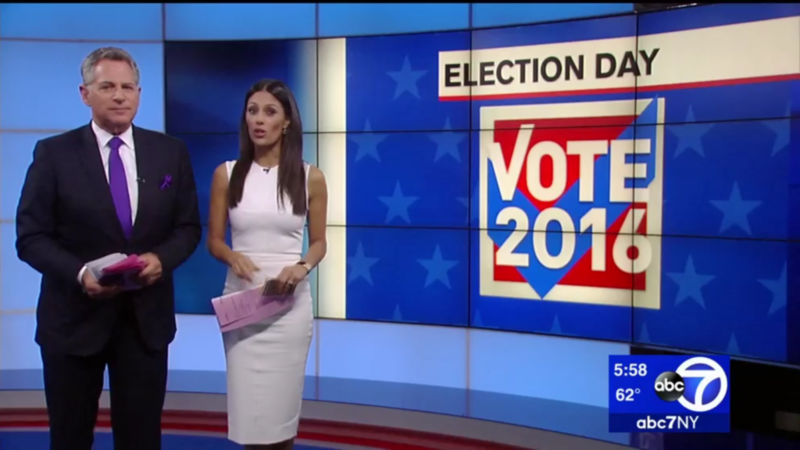 Also in Orlando, ABC affiliate WFTV-TV used its set’s two story video wall for a soft, White House themed background that been used before. 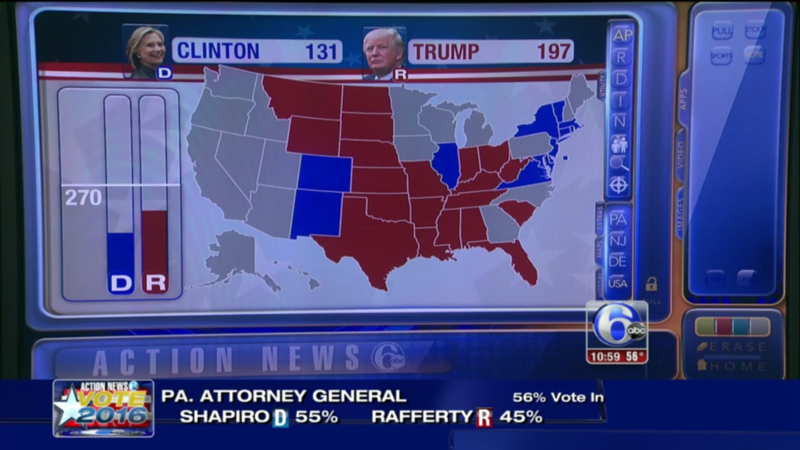 In Grand Rapids, Michigan, WOOD-TV kept its set’s large duratrans walls but used the on-set monitors for “Decision 2016” branding. 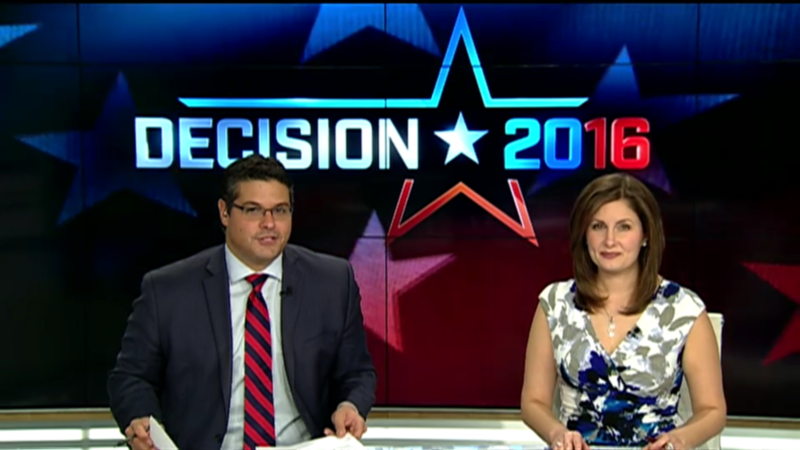 In Pittsburgh, WPXI-TV also used its set’s video wall for a large “Decision 2016” logo, which was, instead of being placed between the anchors like many stations did, perched just above the anchor’s heads, with the framing adjusted to allow for extra headroom. 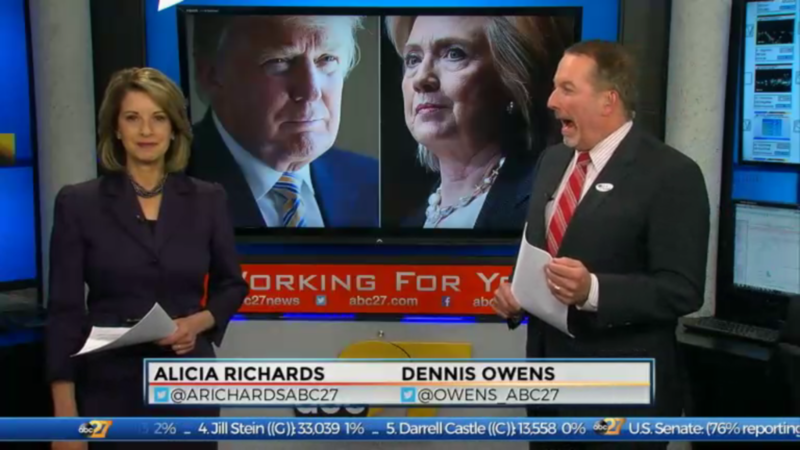 Harrisburg’s WHTM-TV used its standup video screen as a two person anchor venue. 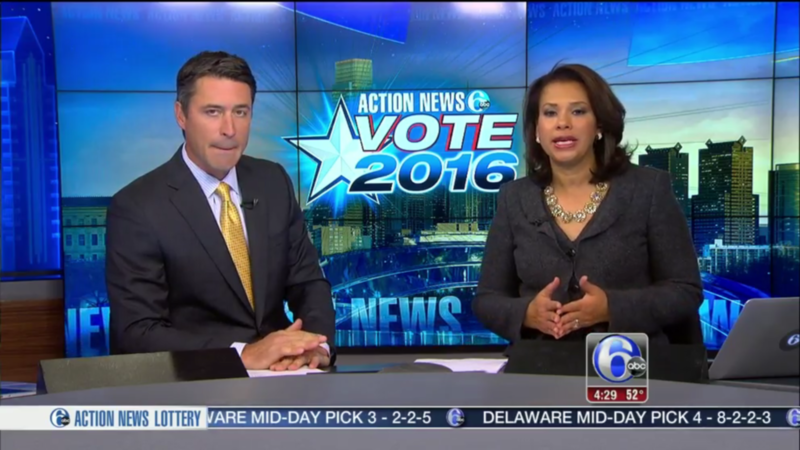 In Philadelphia, ABC O&O WPVI-TV made heavy use of its “Big Board” for showing results as well as the camera center video wall for showing its “Action News Vote 2016” logo. 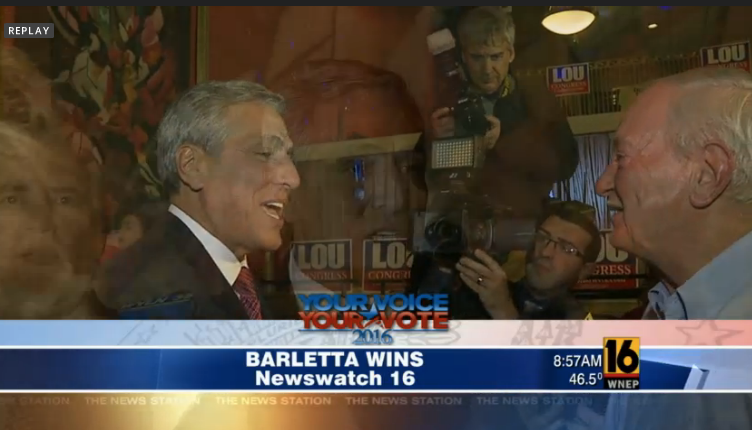 In Scranton, Pennsylvania, ABC affiliate WNEP-TV stuck with its existing graphics package with a “Your Voice Your Vote” banner added on top. The station’s on-set video wall was also used throughout its coverage. 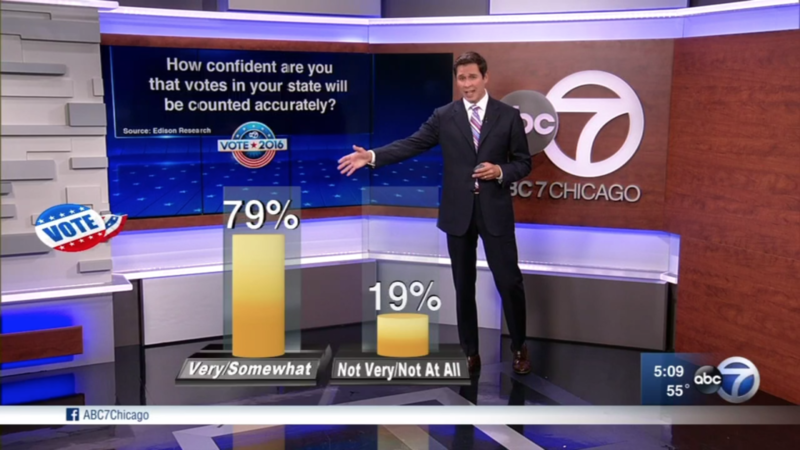 And finally, in Chicago, WLS-TV began experimenting with augmented reality with interactive virtual graphics inserted on the floor of its State Street Studio.